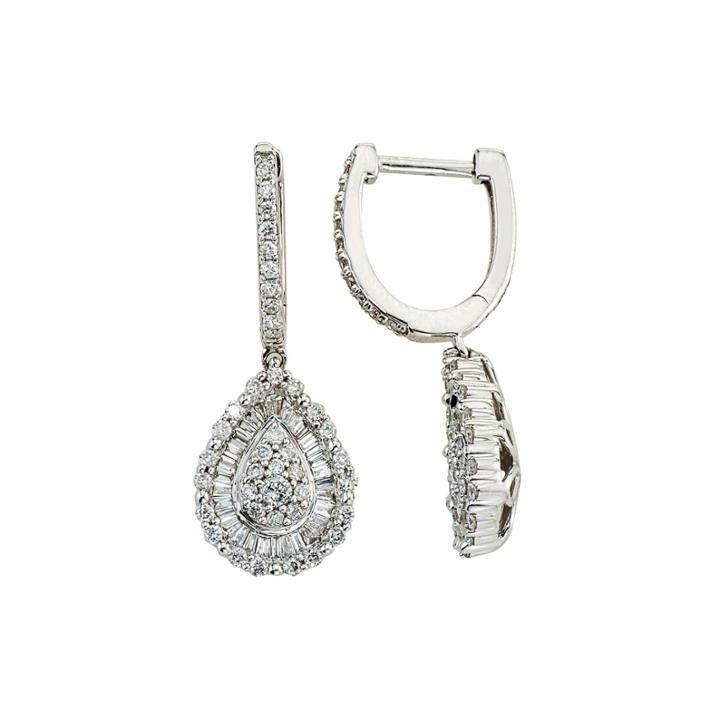 At the core of these gorgeous pear-shaped earrings is a center of round diamonds surrounded by a halo of sparkling baguettes. More dazzlers line the edges for a radiant look. Metal: Rhodium-plated 14K white gold Stones: 1 ct. t.w. baguette and round diamonds Setting: Channel and prong Dimensions: 10.96x29.06mm long Diamond total weights may vary between .01 and .08 carat. Jewelry photos are enlarged to show detail.